As with most issues there is good news and bad news. The good news is when we have been in contact with our affiliate stone restoration associates around the country, quite a few of them have related that local franchise operations that practice this crystallization (aka virtification etc) have been going out of business. For example, in Rochester, N.Y., the Chicago franchise apparently now does wood floors to keep afloat, and in Orange County, CA they have gone out of business too. Latest reports are that they are faltering in Hawaii. Bad news is that many independents are attending one day seminars that teach the crystallization process. The sponsors of these 1 day seminars are desperate to sell more of their product. Thus if you have marbe, travertine, limestone or other natural stone and are in the market to have it polished or restored, you had better ask some very probing questions about the company and their process. 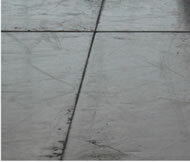 Tags: Dallas | Plano limestone polishing, marble polishing, travertine polishing This entry was posted on Saturday, June 20th, 2009 and is filed under How To Choose A Stone Restoration Company . You can follow any responses to this entry through the RSS 2.0 feed. Both comments and pings are currently closed.